Orblue Bag Heat Sealer Only $12.87! Down From $19.37! You are here: Home / Great Deals / Amazon Deals / Orblue Bag Heat Sealer Only $12.87! Down From $19.37! 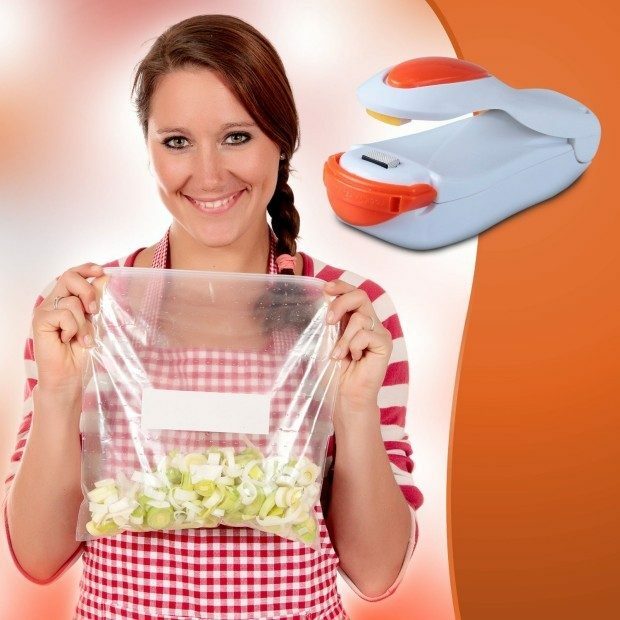 Say goodbye to chip clips! Head to Amazon and order the Orblue Bag Heat Sealer Only $12.87! Down From $19.37! Shipping will be FREE with Amazon Prime or an order of $35 or more. This will also be great for sealing clothing or toy or craft or DIY storage! Professional Heat Sealer will easily reseal original plastic bags. Store food in original packaging. Magnetic bottom – It easily attaches to refrigerators or any stationary metal surface so you will keep it handy in your kitchen, outdoor, cabinet or anywhere you need it.